Reuben Jackson has a way with words. 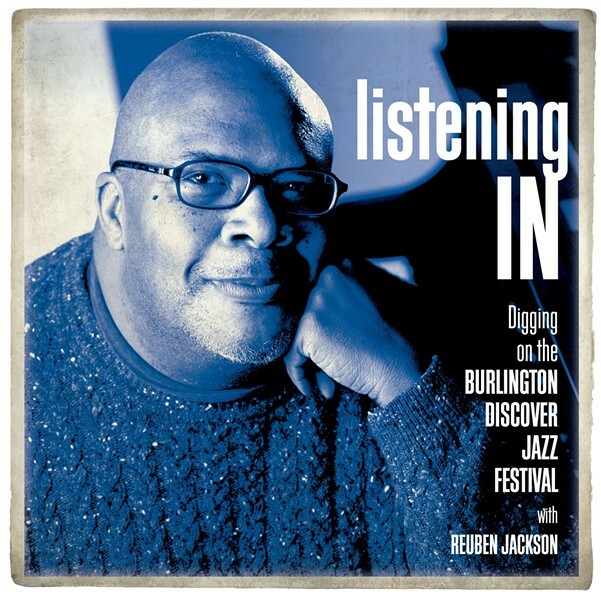 In a 2012 Seven Days story, former Vermont Public Radio jazz-show host George Thomas said of Jackson, "He thinks like a poet." Especially when the conversation turns to jazz, he also speaks — and writes — like one. 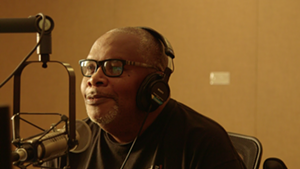 Jackson, 58, took over the role of hosting VPR's "Friday Night Jazz" in 2012. As regular listeners know, his cool, gentle baritone is soothing, even hypnotic, as he opines on his favorite subject. And few local voices are more authoritative. Jackson, a Goddard College grad, is an accomplished critic who has written for the Washington City Paper and the Washington Post in his hometown of Washington, D.C., as well as for the magazines Jazziz, JazzTimes and All About Jazz. His reviews have been featured on National Public Radio's "All Things Considered." In short, we don't know anyone in Vermont more eloquent or knowledgeable on jazz than Reuben Jackson. What better way to prepare for the Burlington Discover Jazz Festival, which kicks off this Friday, June 5, than to pick his brain about the artists he's, well, jazzed about this year? We asked Jackson to select one tune by each of seven acts performing at the BDJF that he finds particularly compelling. On a recent morning, we sit with him in a VPR studio in Colchester and take a listen to the music, and to Jackson's commentary. Our hepcat listening party begins with ... Bruce Hornsby? "I imagine some folks might look sideways at me choosing a Bruce Hornsby track here," says Jackson. He adds, chuckling, "Some people say I'm musically confused." But once he presses play on Hornsby's version of "Celia," by the brilliant pianist Bud Powell, there's no confusion. Jack DeJohnette sets the groove with a skittering tumble of hi-hat, toms and rim clicks. And there's Hornsby, unfurling Powell's familiar melody in his signature breezy style. But, as in a hot fudge sundae, the really good stuff is at the bottom. 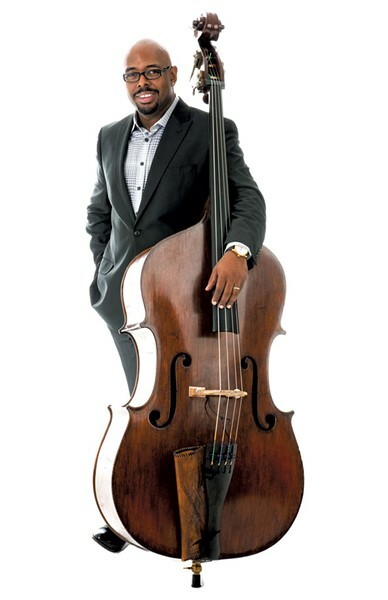 Christian McBride's acoustic bass is like a rubber band as he lays down an ungodly funky, elastic groove. "Charlie Parker once said that music is about editing," explains Jackson. "This piece starts, and it's kind of spare, but it's got this bottom. You can tell [McBride] is interested in people like James Brown — music beyond 'jazz.' I'm hearing this sweet, funky bottom, and it's just so beautifully edited. He allows the arrangement to breathe, and I think that's the hallmark of a great musician. It's fun. It's not a lecture. He uses the tradition in a situational manner." When we get to McBride's solo at the 3:30 mark, Jackson is overcome. Hunched over, feeling the groove, he lets out an appreciative groan. The track has a lightness about it, particularly embodied in Hornsby's gentle keystrokes. 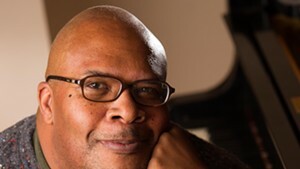 But McBride's rippling solo, punctuated with blue notes, hints at turmoil beneath the surface that may reflect the mindset of the song's composer. Powell was a genius whose music has become canonical. He was also a deeply troubled man. When he recorded "Celia" in 1949, he had been incarcerated against his will in a state mental hospital for 15 months. To make the recording session, Powell struck a deal with the hospital: He obtained a day's leave in return for playing a minstrel show to benefit the institution. He also had to promise to be back in time for dinner. McBride's solo is remarkable. But Jackson is equally enamored of the way the bassist recedes to the background when it's over. It's McBride's talent as an accompanist that he wants to highlight. "Accompanying is hard," Jackson says. "If, as a musician, one of your goals is to develop your chops so you can be a soloist, can you step back and just be part of what is happening instead of in the spotlight? 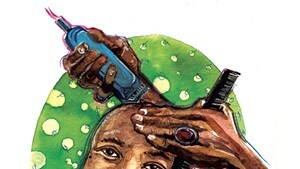 The willingness to use your talents to amplify something like this is fun and inventive. And what [McBride] does on this performance is really seamless. He keeps the piece going." Jackson likes to tell a mildly off-color story about the way his father explained jazz to him as a child. The sanitized summation goes thus: "Jazz is the greatest music nobody ever gave a damn about." This is how Jackson introduces Melissa Aldana's take on Thelonious Monk's "Ask Me Now." 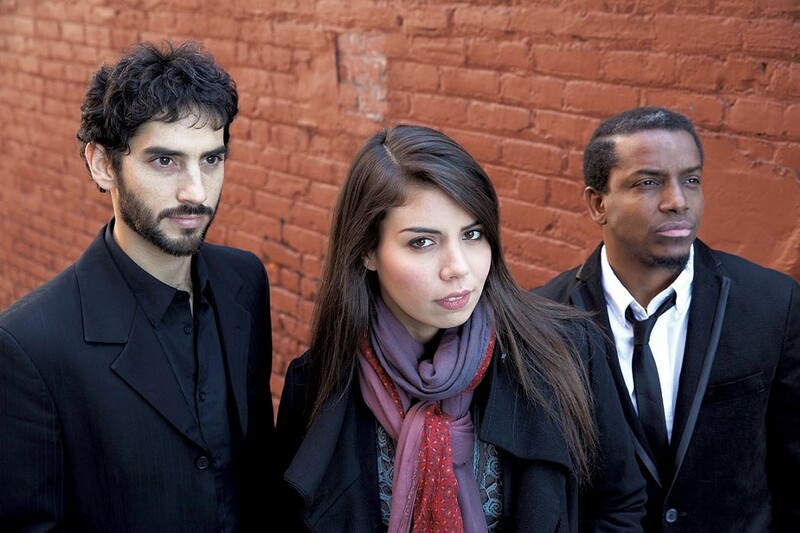 In 2013, Aldana, then 24, won first place in the annual Thelonious Monk Institute of Jazz competition. That's a big deal on its own, but doubly so for Aldana, as the tenor saxophonist is the first female instrumentalist to win the award. An up-and-coming star, she represents the future of jazz. But it's Aldana's reverence for the past that intrigues Jackson. "Here she's playing something from the canon," he says. "It's probably intimidating doing a piece by someone who is an icon, and a piece that's been done a zillion times. What do you do with it? How do you make it new?" Talent helps, and Aldana has plenty to spare. Her solo sax adaptation of Monk's classic 1951 piano piece is a master class in sax technique and arranging. And there's something else here. "There is humor in her performance," Jackson observes, noting the way Aldana meanders through chord changes in the opening stanzas before finally easing into the melody. "It's those subtle turns, a blue note here. And just the use of space. [An instrumentalist] can use great technique to convey something as opposed to just showing you that they can play a lot of notes. It's knowing how to personalize things." Jackson closes his eyes and gets lost in the track. He nods silently in appreciation and laughs at Aldana's exaggerated blue notes. When it's over, he lets out a contented sigh. "I've imagined a million things about this piece," he says. "You could write a screenplay just based on the emotional contours of it. There's a story there. I don't know what the story is, but I'm interested in following it. It's just gorgeous. "For her to do this song so warmly, lovingly and lyrically is wonderful," concludes Jackson. Clearly, Melissa Aldana gives a damn. "I pulled this one because it illustrates something from [Mavis Staples'] lineage with the Staples Singers," says Jackson of Abbey Lincoln's 1992 performance of "Story of My Father," backed by the Staples Singers. "You hear this orchestra of voices accompanying Abbey Lincoln. Mavis is singing parts of the melody in tandem and kind of harmonizing in certain points. Her asides and that consistently soulful, passionate delivery come from many traditions, but really from the church." Indeed, Staples' interjections alongside Lincoln sound less like adornments than statements of faith. The spirit clearly moves her. It moves Jackson, too. At the song's tent-revival climax, he shakes his head and lets out a beatifying "Mmm-hmm" — his "Southern Baptist coming out," he says. "That's something, as those singers die out, that you don't hear as much — singers who came out of the gospel tradition," Jackson explains. "That's important in and of itself. But the fact that Mavis is someone who can cover a Bob Dylan song or work with Abbey Lincoln is remarkable. "Quincy Jones called jazz 'soul and science,'" he continues. "The art and science of her singing, her singularity, this performance, is — to me — incredible. I love Abbey Lincoln. But having Mavis really upped the heat. And it helped drive the theme home — it's about her father." He's referring to Lincoln's father. But Mavis' dad is on hand, too, shouting a series of affirming "amens" at the song's conclusion. "But it's not hackneyed," says Jackson of Pops Staples' rousing benediction. "It's part of the whole. 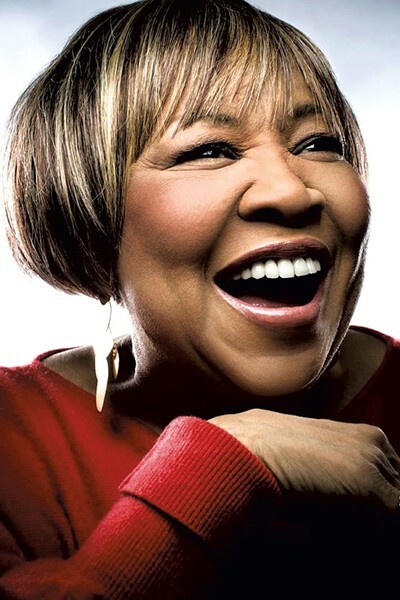 And it's something Mavis Staples brings: commitment and believability. Singers are selling ideas, and I always believe her. That voice. It just makes you stop and reconsider what's possible. You're there for that moment, and it takes you so many places. But the heart and soul is always there." "The critic Whitney Balliett called jazz 'the sound of surprise,'" says Jackson. 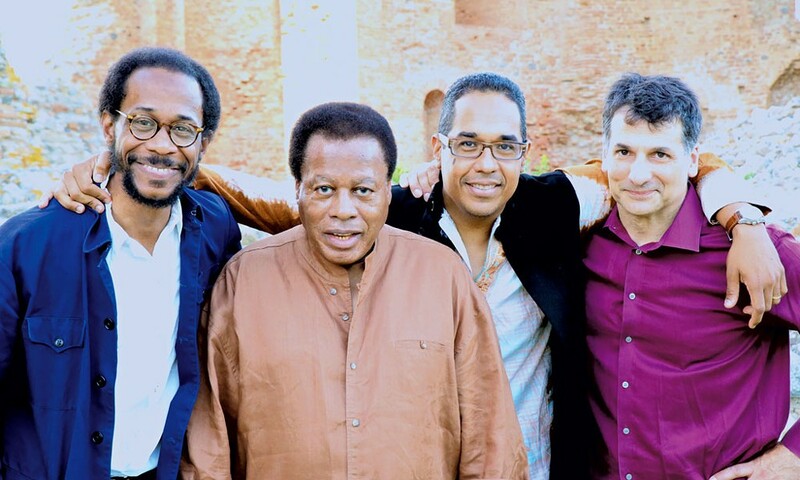 He suggests Wayne Shorter's latest quartet embodies that description. "Even people who feel they know what this music is capable of can find themselves surprised by this group," he says. "They really go all over the map. And yet the exploration is never superfluous." "Plaza Real" first appeared on the 1983 Weather Report album Procession. But the updated version on Without a Net only vaguely resembles the jazz fusion of the original. Shorter's soprano sax is explosive and fiery, drawing out and savoring the song's melody. Pianist Danilo Pérez adds depth and color to the song's harmonic structure. But it's drummer Brian Blade who truly transforms the piece. His inventive, polyrhythmic playing is a drastic departure from that of the 1983 version. That the tune holds up through such mutation is a credit to its composer, Shorter. "I loved Weather Report," Jackson says. "And one of the things that I always looked for when I'd buy a Weather Report record was how many Wayne Shorter compositions there were. Miles Davis said, 'Wayne is a great little writer.' He wrote brilliant things for that band." 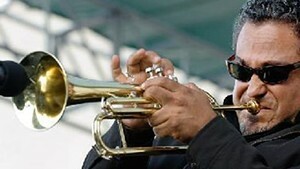 Jackson is quick to praise Shorter's incomparable skill as a soloist — for evidence, listen to almost any Miles Davis record from the late 1960s. But he returns to the idea that the saxophonist's true greatness lies in his evocative writing. "He's a very picturesque composer," says Jackson. "His pieces are always like vistas to me. You can kinda close your eyes and go places. The chords resolve themselves in interesting ways; there are beautiful harmonies." He's not the only one who feels that way. The New York Times' Ben Ratliff called Shorter "probably jazz's greatest living small-group composer and a contender for greatest living improviser." "He's so great at recasting a piece like this for an acoustic ensemble," Jackson says. "I think, for a lot of people, the electric stuff after Weather Report was not to their liking because of the instrumentation." He's referring to Shorter's somewhat derided post-Weather Report projects, including collaborations with Carlos Santana, Don Henley and Herbie Hancock. The acoustic quartet on Without a Net, Shorter's first album for iconic jazz label Blue Note since 1970, marks in some ways a return to form. "In that respect, the orientation of this group gives people comfort, because they think that's what jazz is supposed to be," Jackson says. Then he offers a caveat: "But there are no safe routes in his music, which has always been true for [Shorter]. There are melodic surprises, exclamations. But then he'll bring it down and return to the theme, and then out again. If he were a pitcher, you'd have trouble hitting him. He's always a pleasure to listen to, because the surprise is always there." If "Plaza Real" is "what jazz is supposed to be," then "Lake Ontario" by trumpeter Wadada Leo Smith is, well, something else entirely. The nine-minute track from the avant-garde composer's record The Great Lakes Suites is moody and impressionistic. Or, as Jackson puts it, "This is the kind of stuff that if I put it on in the basement, my mom would start stomping on the floor above. This could be kind of out there for people." Though it's challenging to parse, the piece is also deeply beautiful and evocative of the massive bodies of water that inspired it. It's stormy and foreboding one minute, serene the next. "I've been listening to a lot of water music lately: Handel, Duke Ellington's 'The River,'" Jackson says. "And I think about how each person is using these bodies of water as an inspiration for these pieces. I find it very pensive in a lot of respects." Jackson is intrigued as much by the sounds you don't hear on Smith's track as by those you do. "The notion of space is important in music," he explains. "For every kind of frenzied moment, composed or improvised, there's a moment where you kind of step back. His compositions and his improvisations are seamless. "I'm as intrigued by the path of this piece as I am with, say, Wayne Shorter," Jackson says. "For some people it might be too cacophonous. But it really seems to undulate." It's also exactly the kind of music that ignites a venerable debate: Is this jazz? "Ellington didn't like the word 'jazz' in part because it's such a small word for so many different roots," says Jackson. 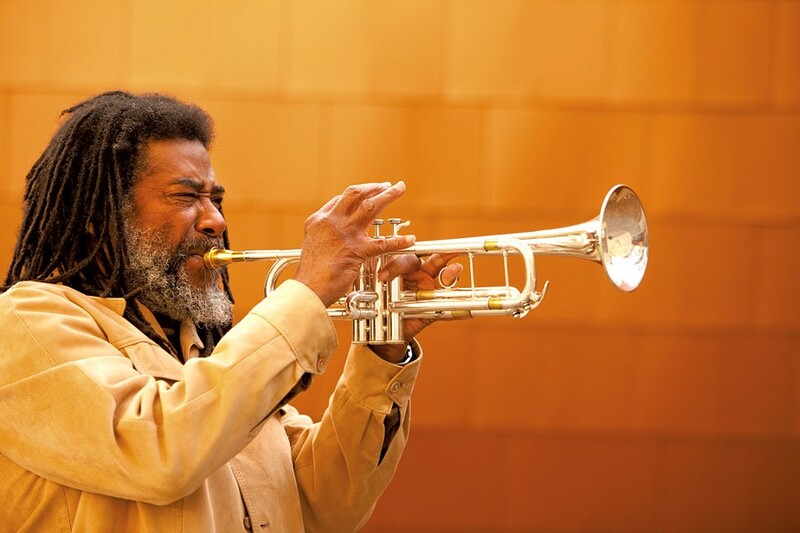 "Wadada Leo Smith and Melissa Aldana, Carmen McRae. Can all of that really be the same thing? I don't know." 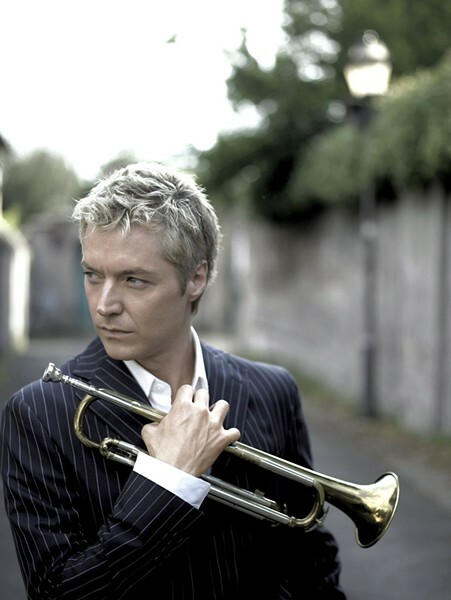 "I felt guilty about choosing this one at first," says Jackson of trumpeter Chris Botti's collaboration with Shawn Colvin. "Save the Country" appears on the 2014 tribute to late songwriter Laura Nyro, Map to the Treasure. "But I think it shows [Botti's] versatility," Jackson continues. 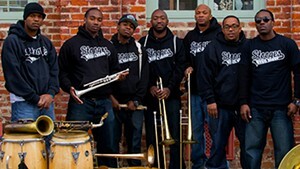 "And it's important to see that people affiliated with jazz are continuing to look at not just the standards. Whether it's Laura Nyro or Wayne Shorter or Kurt Cobain, music goes on, and it's important that people explore beyond what's considered the golden age." Botti is a divisive figure in jazz circles. No reasonable listener can dispute his talent. But the Grammy winner is seen as something of a sellout. He led the band for the nationally syndicated daytime TV program "The Caroline Rhea Show." He was named one of People magazine's 50 Most Beautiful People in 2004. He's talented. He's successful. He's good looking. So of course people hate him. "He gets knocked because, well, people like him," says Jackson. "It's such a paradox. My father's friends used to say, 'Damn. Nobody likes these musicians.' But then if they become popular, they complain. "I think [Botti] is a very lyrical player. There's beauty and thoughtfulness in his work," Jackson goes on. "And this is not your typical jazz composition. Laura Nyro is what Duke Ellington would call 'beyond category.' Her pieces go in different places, even something like 'Save the Country,' which is a little less kaleidoscopic, melodically and harmonically speaking." Jackson goes on to praise Botti's solo in the middle of Nyro's piece. The song itself is a tad earnest and melodramatic — the best-known version likely belongs to the 5th Dimension, a pop vocal group that landed the song at No. 10 on the Billboard Adult Contemporary chart in 1970. But Botti's solo is stirring. He plays with transcendent tone and emotion. "He's conscious of the melody but also the thematic structure of the piece, the words," Jackson notes. "The skill needed to convey those things is what you hope for in jazz. People who have fixed notions of what this guy will do could find themselves pleasantly surprised." While big names like Wayne Shorter and Mavis Staples draw the most attention, the heart and soul of the Burlington Discover Jazz Festival is often found on the smaller stages. Recorded during a jazz fest show in 1989, the recently remastered and rereleased album Live at White Crow by the Sneakers Jazz Band is proof positive. "People sometimes feel there's a difference between musicians who make it beyond the state and the musicians who live here," says Jackson. "Hell, everybody has to live somewhere. This was recorded in 1989, and, as the cliché goes, it could've been done yesterday. And I wish it had been done yesterday instead of some of the stuff that's coming out now." 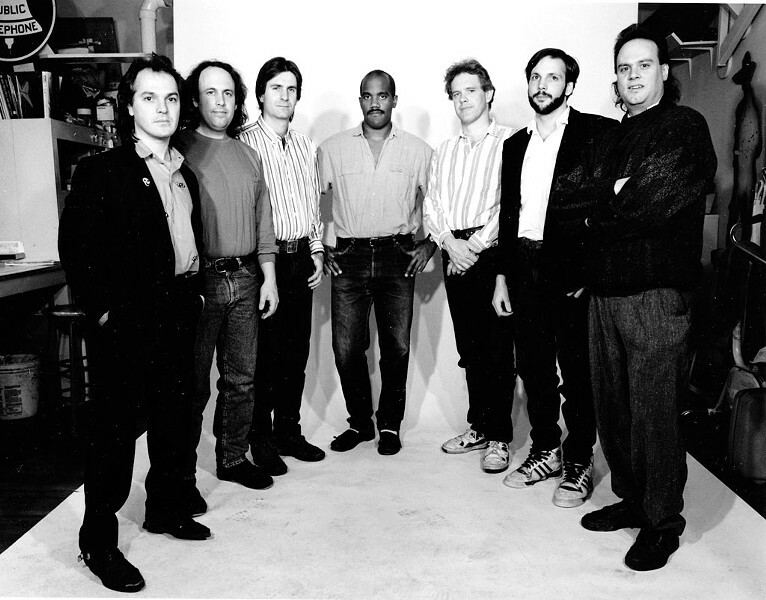 The Sneakers Jazz Band was a locally celebrated ensemble that grew out of a weekly Tuesday night residency at the original Sneakers restaurant in Winooski in the 1980s. Its members were some of the finest jazz musicians ever to call Vermont home, including Paul Asbell, Dave Grippo, Bruce Sklar, Joey Sommerville, Jeff Salisbury, Russell Remington and Clyde Stats. The band had some famous fans, too, including the members of Phish, who have credited SJB with inspiring their own improvisational bent. "It's a fun, versatile, swinging ensemble," says Jackson. With a breezy island feel, "House of Gold" isn't precisely jazz. But it does indeed swing, albeit with more of a reggae groove. It's a fine example of SJB at the top of their game. "I admit there's some bias here, because James Harvey wrote this piece, and he's one of my favorite musicians," Jackson admits. "I love the spirit of this piece. But there's traditional things, too — an Ellington piece, Hank Mobley. But James Harvey is great, Paul Asbell — these are Vermont treasures." Jackson sees Live at White Crow as more than just a great recording. It's an affirmation. "The fact that this came out in 1989 is proof that there has always been great music and musicians here," he says. "And that's something that people overlook a lot. The festival is not just big names and then locals. It's all one thing. And we're lucky that, once the people who don't live here leave, we still have people like Paul Asbell and Clyde Stats. It's important for people to remember that, and get out there and hear them and be glad." To quote Pops Staples, amen. The original print version of this article was headlined "Listening In"